Replace unorganized file cabinets, network drives and legacy systems with accessible and searchable digital repositories. Reclaim office space and decrease overhead costs of paper use and storage. Eliminate time-consuming data entry with high-volume document capture of scanned and electronic documents. Reduce the burden of finding documents with instant search and retrieval. Increase staff efficiency by automating document filing, form filling and processing. Ensure constant productivity with automated e-mail notifications, document routing and reporting. 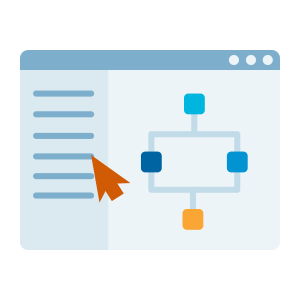 Quickly diagram and launch customizable workflows and e-forms that expedite data input and review. Start, approve and monitor business processes from smartphones and tablets. Eliminate bottlenecks in document review and approval with automatic routing and notifications. Share documents with GIS, CRM and ERP systems for quick access to complete project files. 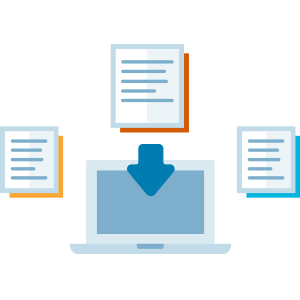 Automate the capture, transfer, storage and disposition of new and legacy records. 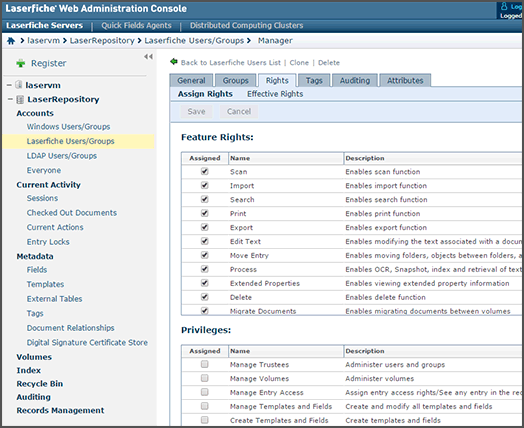 Enable employees in different departments to access records without navigating the master records structure. Automatically create custom views of records structures for auditors or compliance officers. Get a complete record of activity across all devices, including login, document access and creation/deletion. Enforce consistent document compliance standards across multi-office teams, remote workers and contractors. Customize information access and business process participation per employee or active directory group. Control access to folders, document templates and document text by employee role. Delegate management of document repositories, e-forms and workflows to dedicated department administrators. Monitor system health with a reporting system integrated with the Windows Event Log. Easily modify document repositories, access rights and search options. Track changes made to content repositories. Quickly organize document information across the repository with unified metadata options. Build settings and workflows that can be replicated and configured for use across multiple departments. Maintain full control over enterprise workflow settings. Why Laserfiche Enterprise Content Management? With capabilities ranging from records management to document routing, electronic forms and digital signatures, Laserfiche is a powerful workflow management solution that enables the entire enterprise. 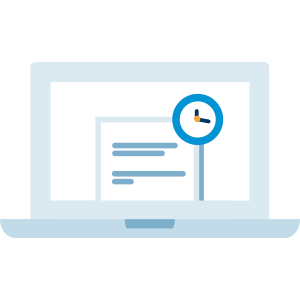 Easy-to-use software, online training programs and extensive support resources reduce deployment time and enhance user adoption. Laserfiche’s intuitive user interface allows users to quickly adopt and use the software, speeding acceptance and minimizing IT support. Automate and transform document-driven processes including vendor and contract management, invoice approval, records management, travel and expense management, and more. Create document repositories, workflows and security settings for one department and easily duplicate them for other business units. Create and work with Laserfiche documents directly from GIS, CRM, ERP and other primary applications employees use every day.